The Chama Cha Mapinduzi (CCM) Presidential candidate Dr. John Pombe Magufuli ("Tinga Tinga") has emerged the winner in the presidential race after securing 59 percent of the votes in the October 25 general election and will soon be sworn as the fifth president of the United Republic of Tanzania. Declaring the winner, National Electoral Commission (NEC) Chair, Judge (Rtd) Damian Lubuva said Magufuli secured 8,882,935 votes or 59 pecent of the vote while his closest competitor CHADEMA’s candidate Edward Lowassa secured 6,072,848 votes equivalent to 40 percent of all votes. ACT-Wazalendo’s Ms Anna Mghwira came in third after securing 98,763 votes or 0.65 percent of all votes. At the bottom list was the NRA’s Kasambala Junken who secured 8,028 votes or 0.05 percent of all votes. Eight political parties were involved in the presidential race in the general election in which 23,161,440 people were registered to vote. 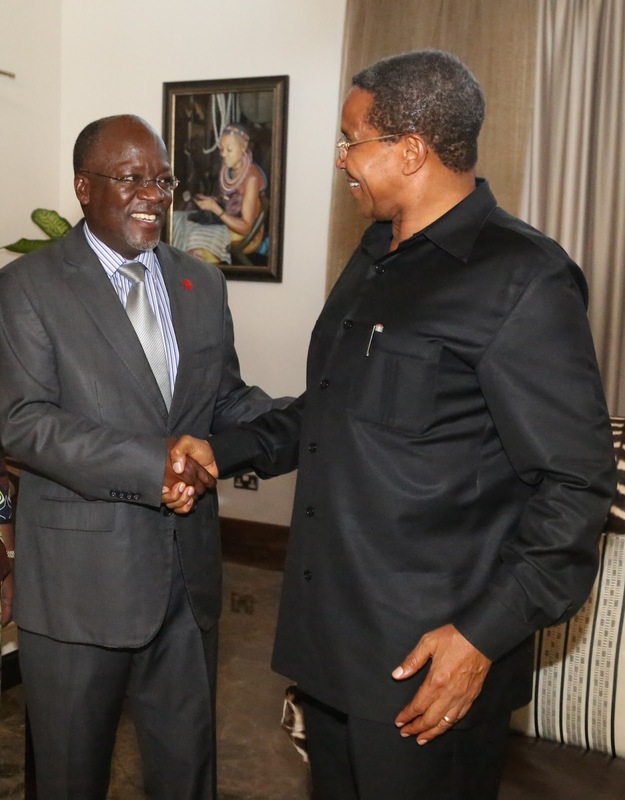 Dr. Magufuli alongside his running mate Samia Suluhu Hassan is expected to be awarded a certificate by NEC on Friday to signify their election as the President and Vice-president of the United Republic of Tanzania respectively. Meanwhile only 6 out of the 8 political parties that contested for the Presidency, signed signed off as having agreed with the results of the elections. Agents for CCM, ACT, ADC, NRA, UPDP, and TLP signed form number 27 after going through the numbers and tabulation of the results to signify that they have agreed that results are genuine. CHAUMMA’s agent, while present, declined to sign. CHADEMA’ agent was not present during the signing of form number 27. The other member parties that were part of the Ukawa opposition coalition, namely CUF, NCCR-Mageuzi and NLD were not required to sign off the forms since they did not have Presidential candidates. The NEC chair made it expressly clear that the absence of any party’s agent or refusal to sign the form does not prevent the commission from announcing the winner of the elections. Lubuva also revealed that 15,589,636 people cast their votes on October 25, out of whose votes 15,193,862 (97.4 percent) were counted as valid votes with 204,248 (2.58 percent) of the votes being rejected.